This is an unmissable evening of entertainment! 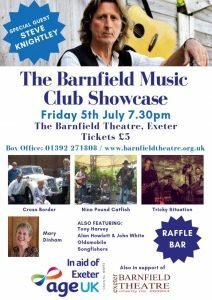 The Barnfield Music Club is returning for another exceptional Showcase, raising funds for Age UK Exeter. 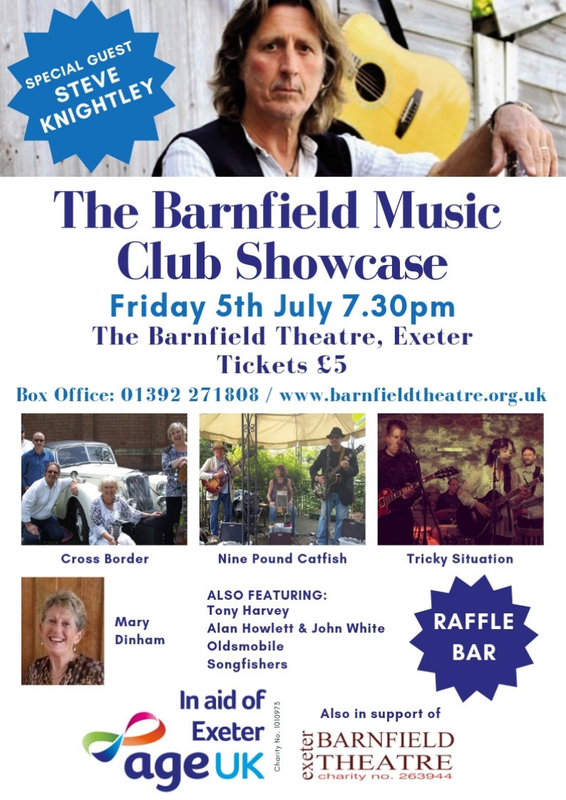 As well as an array of musical talent from across Devon; including Nine Pound Catfish, Cross Border and Tricky Situation, we are excited to present special guest, singer songwriter, Steve Knightley. Age UK Exeter is a local charity supporting older people across the city. Ninety-four pence in every pound raised for them will directly benefit the services they provide.